So my daughter is obsessed with Vampire Diaries which is filmed outside of Atlanta. 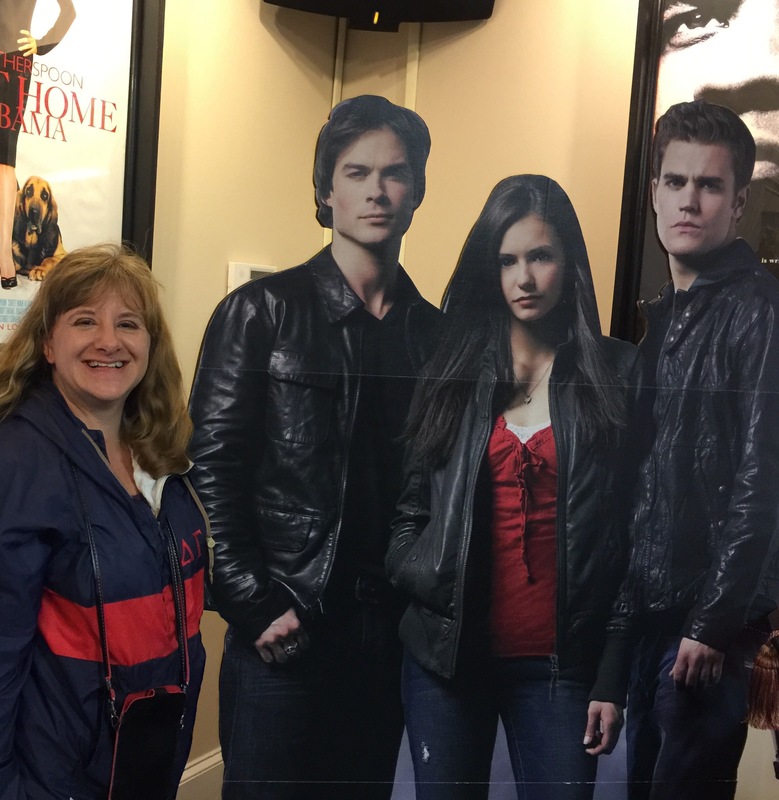 She asked me to watch with her before she and her besties went to Covington, Ga the site of the fictional Mystic Falls to go on the Vampire Diaries tour. Being an old Ann Rice fan, I was hooked before the first episode was finished. The storytelling in the series is entrancing. From episode to episode there are new plots and twists which keeps viewers on their toes. So now I’m hooked and trying to catch up to season 7! The tour was great and it was neat to hear the behind the scenes info and then watch the episodes. It gave me a greater connection to the show and its cast and characters. It is fun having something to share with my daughter. As Christians we know that Vampires, werewolves and witches don’t really exist. As storytellers, we can appreciate the weaving of a good tale, the tug between good and evil and the journey all people go through to find meaning. The characters each struggle with morality, sin, forgiveness, humanity, using powers for good or evil. We see that even in the most evil character we find the ability for redemption and the longing to be forgiven. Like the characters on Vampire Diaries, all of us struggle to use our gifts (powers) as they were intended and often fail miserably. We long for eternal significance. We seek to be connected to something larger than ourselves. Happily we are freely given significance, forgiveness and love by a God who created us and gave us each individual gifts. And we get to be part of it without any blood loss because we follow the one who took the sacrifice and shed his blood for us. 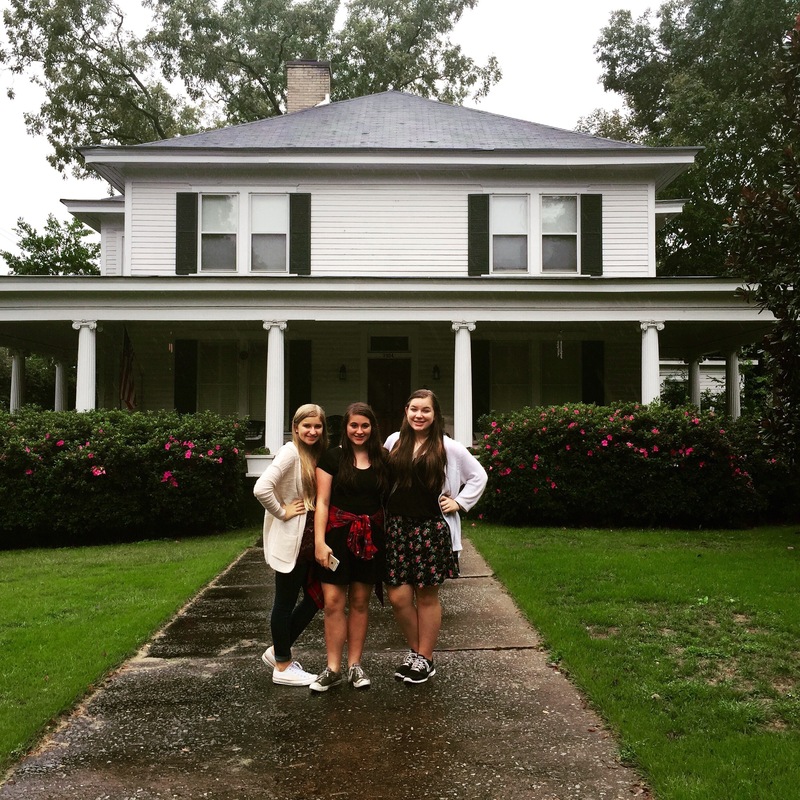 My daughter and her besties in front of the Gilbert House. The real owners are super nice and if you catch them outside they will invite you on up! 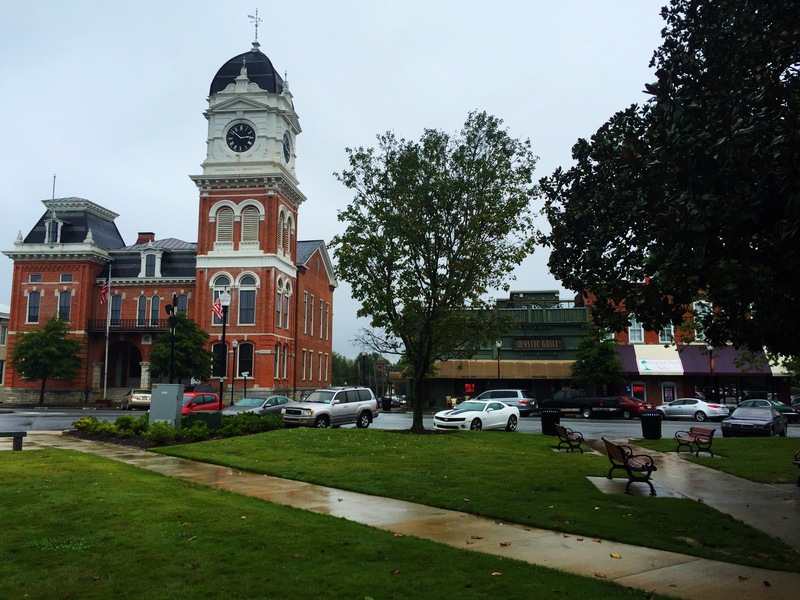 The Covington courthouse is a staple in the fictional town of Mystic Falls as is the Mystic Grill next door. It used to be an insurance company inside while the exterior was made over for the show, but the mayor wisely created a real Mystic Grill for fans coming to experience Vampire Diaries.